Easily connect TOPYX® LMS to your Salesforce instance with just a few clicks! Salesforce is the world’s leading customer relationship management (CRM) system. More people use Salesforce than any other Software-as-a-Service (SaaS) business application. Now, we have made it incredibly simple to manage your users between TOPYX and Salesforce. Oh, and it is free. 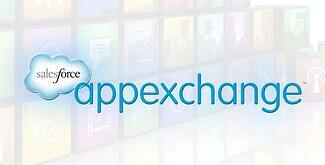 Visit the Salesforce AppExchange. See more about how the integration works and how to get started by visiting the Salesforce AppExchange. Fill out the form to the right to learn more about the TOPYX LMS integration with Salesforce.